Northern Cook & Lake County Instrument Rentals | Hoffmann Strings Ltd. Servicing northern Cook and Lake County as well as the local school districts, students, and professional players. We provide a full-service shop with quality rentals, instruments to purchase, and restoration & repairs for your stringed instrument(s). Browse our online gallery of violins, violas, cellos and basses. Find the perfect instrument or accessory for your needs. Find the perfect rental instument for classes or lessons, an event, or just to practice on. Our rentals are in great condition. 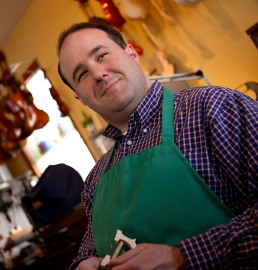 Bill Hoffmann, luthier and owner of Hoffmann Strings,Ltd. has been in business over 21 years in the Buffalo Grove area. Bill studied at the University of New Hampshire Violin Craftsmanship Institute, under the guidance of Karl Roy, master violin maker of Germany. Karl Roy was instructor and director for the Bavarian State School for Violin Making in Mittenwald.